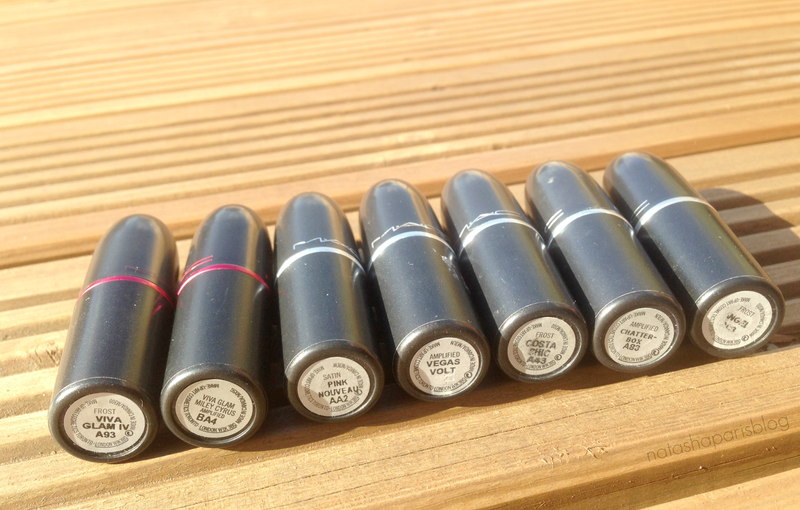 MAC are definitely my favourite brand when it comes to lipstick and over the past couple of years (mainly since starting my blog) I've accumulated a little MAC lipstick collection. I tend to choose my lipsticks based on the shades I like rather than the finish, although of course I have my favourite finishes (they're Amplified and Frost just in case you were wondering). My favourite MAC shades at the moment are Vegas Volt and Costa Chic (yes I'm embracing the little bit of sunshine we have lately haha).